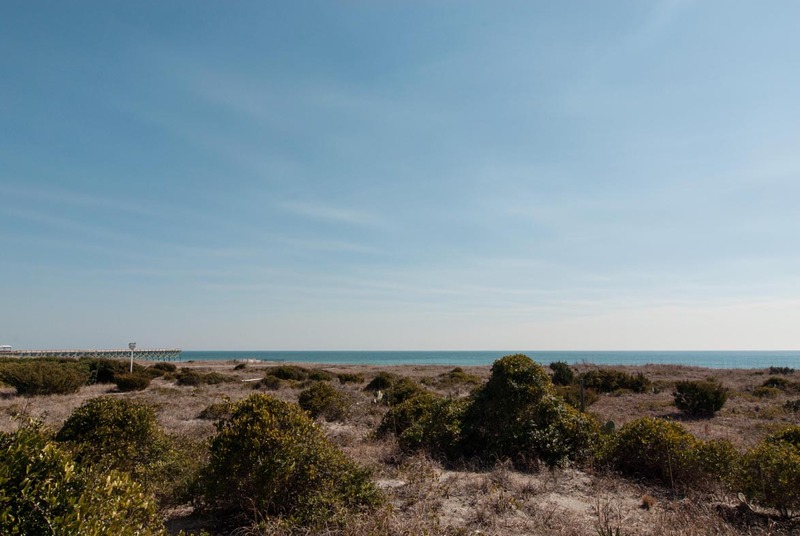 Leisurely wander the winding beach path to the pristine ocean sands! 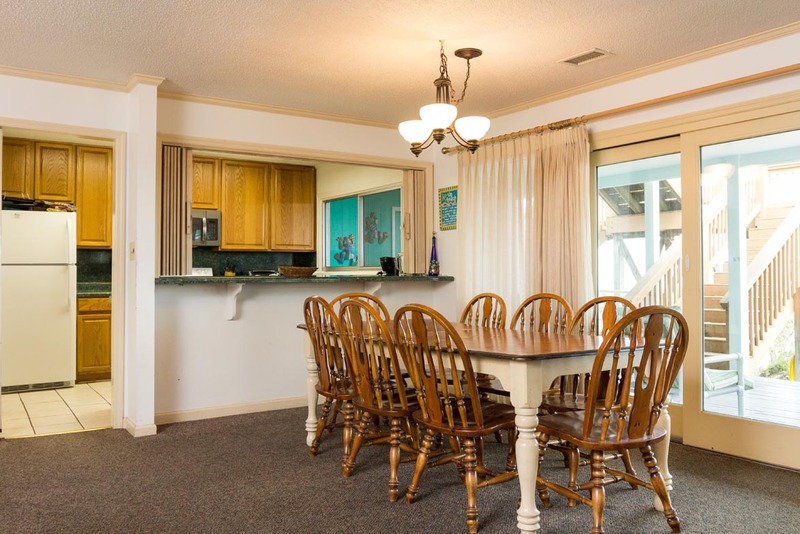 Located at the desirable southern end of Wrightsville Beach, close to Crystal Pier and Oceanic Restaurant, this 4 bedroom 3 bath southern unit offers great ocean views from the spacious living/dining area. 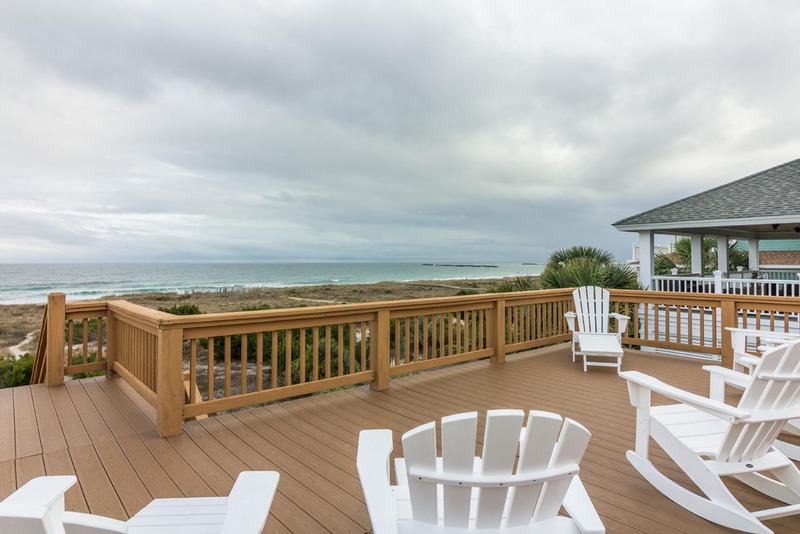 Sit back and relax on your ocean front deck while enjoying the gentle breeze! Sunbathe on the shared rooftop deck where you can see miles of ocean and beach! 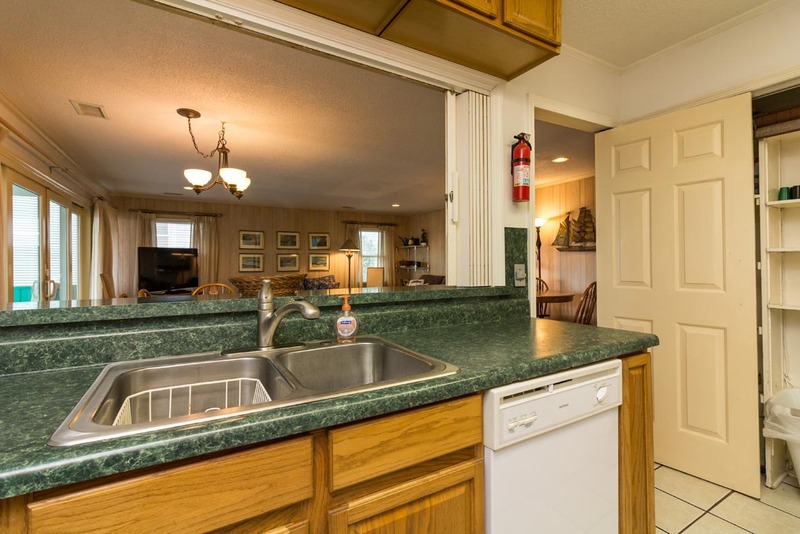 The living/dining area, separate kitchen, 3 bedrooms and 2 baths are on the main level. The entry, 1 bedroom, bath, and playroom are on the ground level. For larger gatherings reserve the north unit for a total of 7 bedrooms - contact us directly for more details! Outside Shower. Parking for 5 cars in carport and driveway. Occupancy: 16. No Smoking. No Pets. 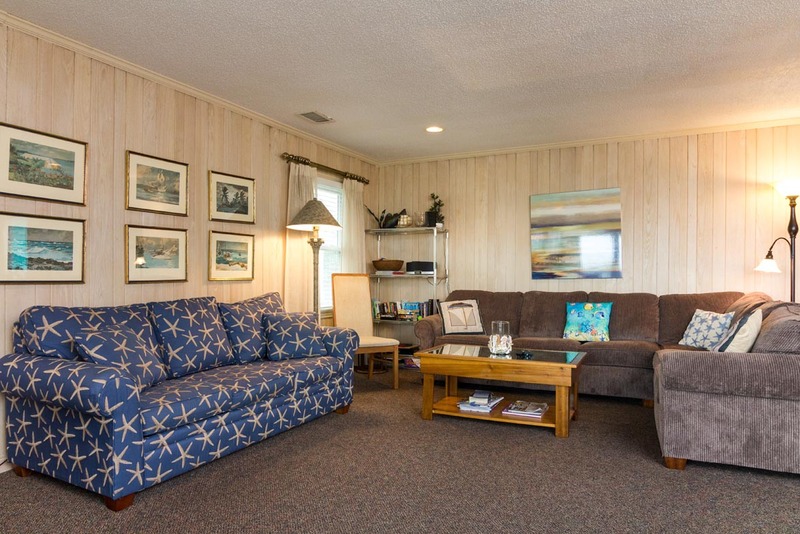 The house is in a great location, front row, and has a great view of the ocean. The top roof deck was a nice place to sit and relax while having a fairly private feel. This house/building is a duplex. The neighbors were off-season renters and had a dog that barked and made his way over to our side on multiple occasions. Other than that, being that close was not an issue. The house is older and in need of upgrades. However, most were cosmetic. The cleanliness of the house was questionable, at best. The interior was not what I expect or am accustom to with rentals from sites like AirB&B or VRBO. The plates were disgusting, several had food particles and fat deposits like there were quickly rinsed, if that. I find that unacceptable and emailed the rental agency and have not heard back yet. I would not stay here again. 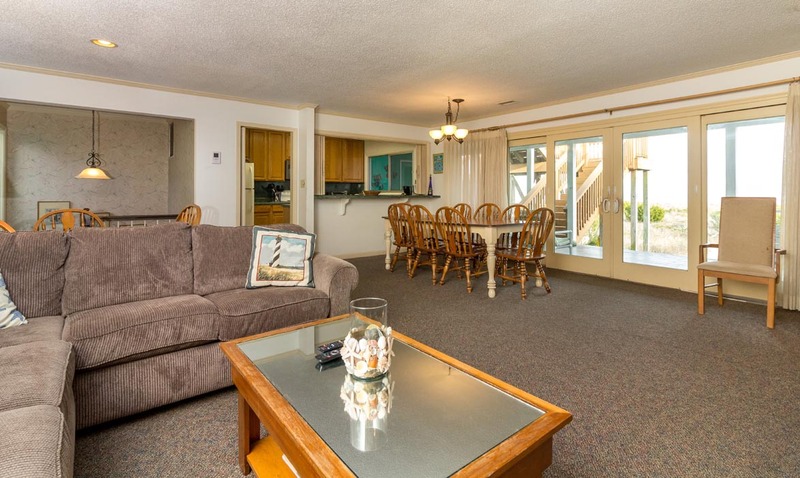 I have stayed in Wrightsville Beach before and you can find nice quality with more amenities for around the same price. Family and friends annual beach vacation. We have been renting from Bryant Realty for over 50 years. They have been great to respond to anything we have asked of them. The key pad was a great addition to convenience this year. We have three generations in our unit and the accommodations were perfect. 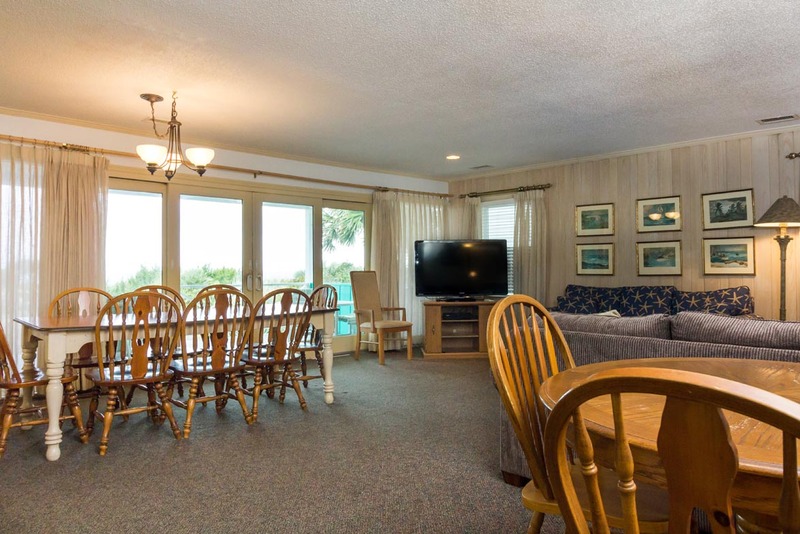 Our family always looks forward to our beach reunion, and this property suits our varied needs very well. Progress has been made in many maintenance issues reported in previous seasons, which is noticed and appreciated. We love the Fox/Keeney and really enjoy our week at the beach each year. Wish there were fewer surfers but besides that it is a great location. The property description and photos were accurate. There were 11 ladies staying in the rental for the weekend as we all ran in the Wrightsville marathon/half marathon. Plenty of space inside and outside. 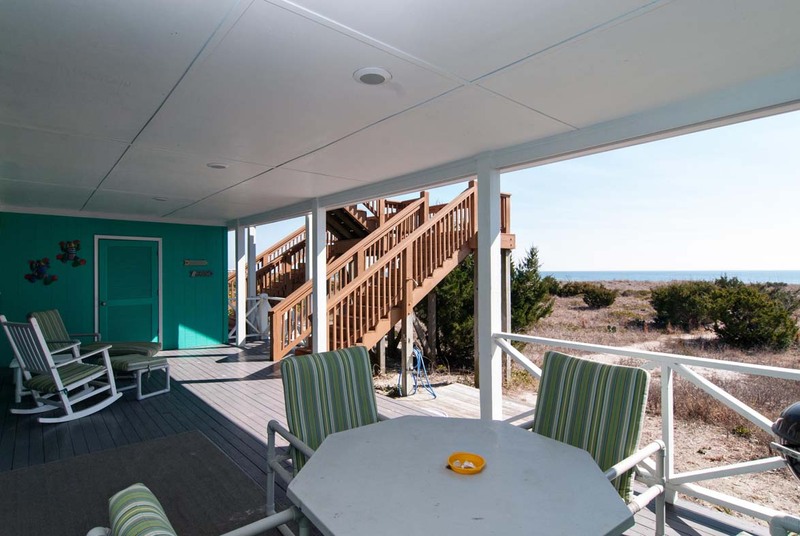 We all enjoyed hanging out on the upper deck, the back porch, in the living room, and, of course, on the beach. We are all pretty laid back and knew what to expect for the price we paid. The rental was mostly clean, certainly not immaculate. There were several roaches in the kitchen. The renters next door created issues for us on both nights by staying up until 3am and partying. Both issues were addressed with the real estate agency. While we all enjoyed each other and the location, we would not stay at this property again. 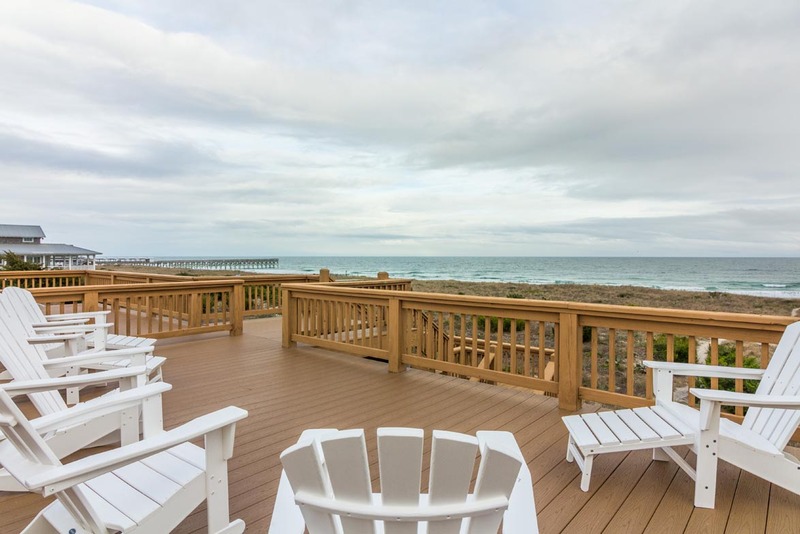 Kelly, We are happy to hear that you enjoyed the area, beach, and deck space this home provides! We sincerely apologize for the disruptions caused by the neighbors and have addressed this situation with them. Should you encounter any issues of this nature in the future, we strongly urge you to contact our emergency line so that we may promptly correct the issue. Our housekeeping and maintenance staff are available 24/7 to assist our guests with any issues that may arise; please do not hesitate to reach out to us with any concerns you have. We appreciate your feedback and hope you will consider Bryant Real Estate again when planning your next trip to the beach! Had a very good time at an enjoyable location on the ocean front Wrightsville Beach. Overall weather was good. Played tennis on one of the warmer days. New Years Eve and Day were cold. Good time to stay in and watch College Football Bowl games. I have been a customer of Bryant Realty for years and have always been happy. However, this time Crystal (manager) went above and beyond. We had a heating issue in our rental that could not be resolved. Not ideal, but the action taken to assure we were happy was amazing! We switched rentals immediately. Then she brought over linens, towels etc and no charge. She waived the up charge for the new rental and had keys in our hand all within an hour. I highly recommend this agency. The house is actually two units. We stayed in the South End (unit) of the House; the rental photos matched exactly what we saw when we arrived. 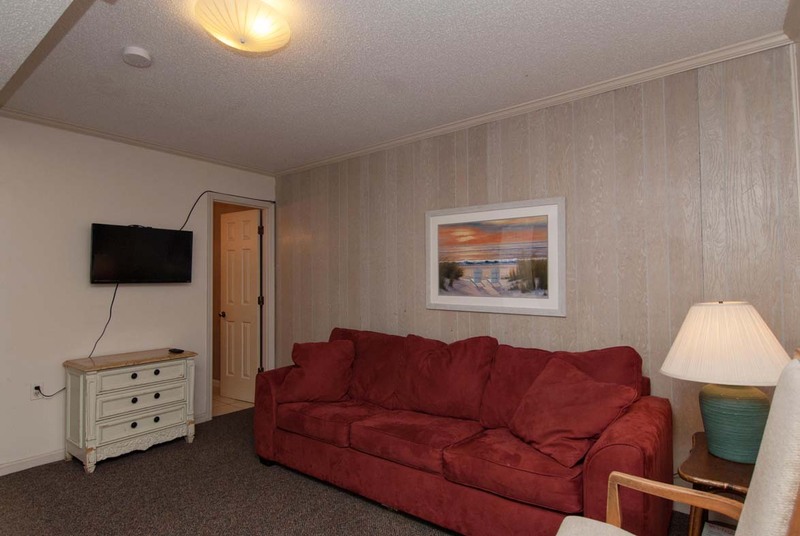 The picture of a sofa in a room outside the "bunk bed room" is on the 1st floor. 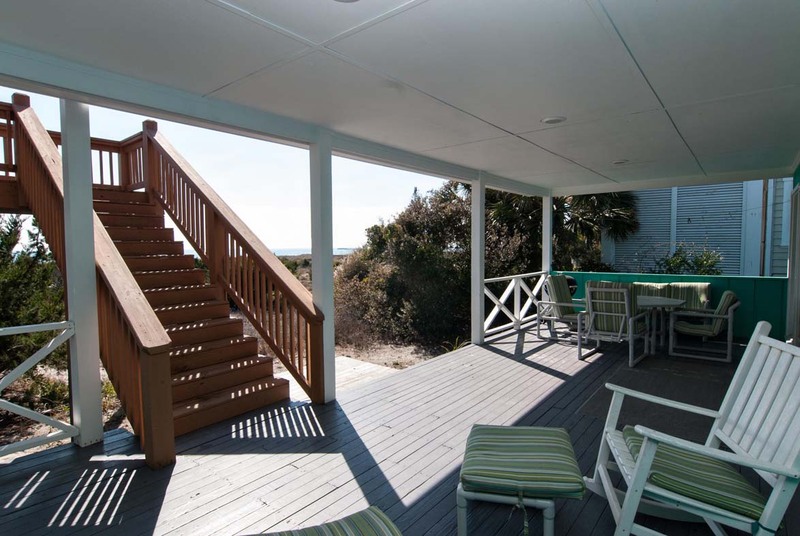 All other photos are of the 2nd floor which is level with the sand when facing the beach. The deck is on the roof and in essence is the 3rd level. Our unit deck was the south end of the whole deck. All was expected except the property management firm significantly exceeded expectations by having a REALl person answering every call during normal business hours. Never did we get a recording or be asked to leave a message. Also the staff was able to answer EVERY question we had over 3-4 conversations in the weeks leading up to our arrival. We have stayed in this house for years. 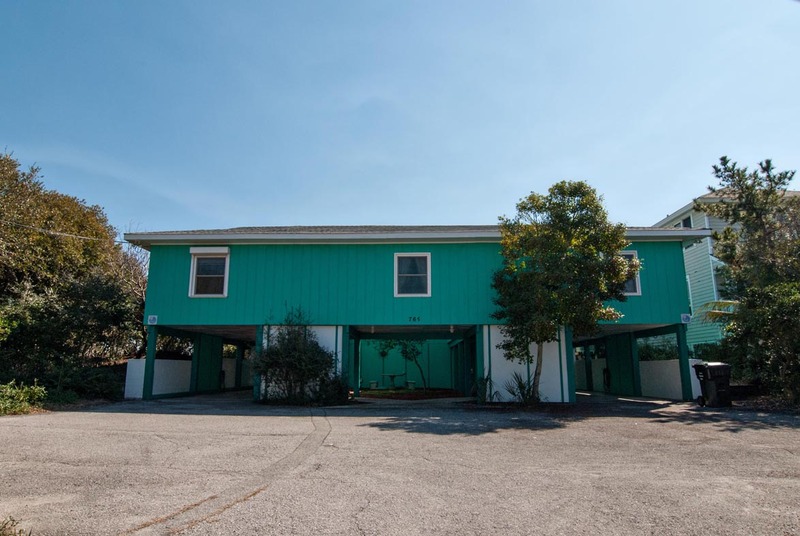 We like it because of it's location on the south end of the island, the easy beach access, and the fact that there is plenty of room for everyone to spread out. The upstairs deck is an added plus for early morning or evening relaxing. 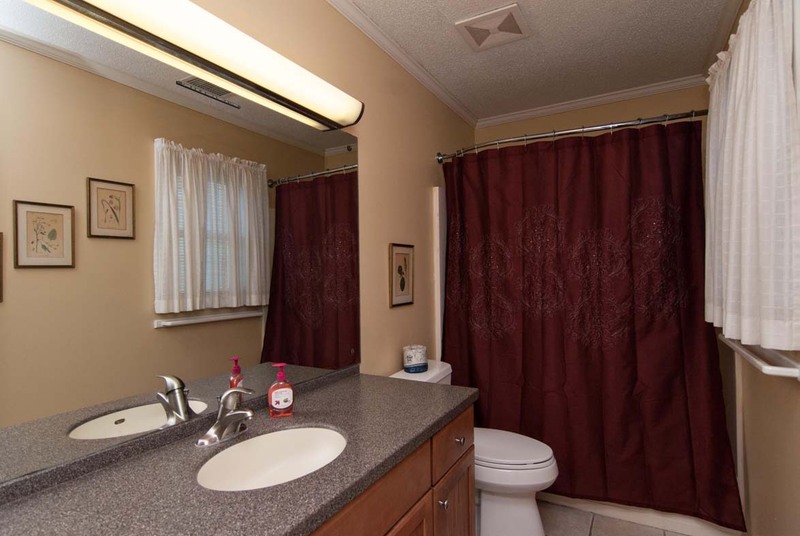 This year we all got hot showers every day, which is an improvement!We will continue to rent this unit as long as it is available. Jane- Great to hear you've been visiting for years! Look forward to your next visit! This is our third year at the Fox/Keeney and we love it. 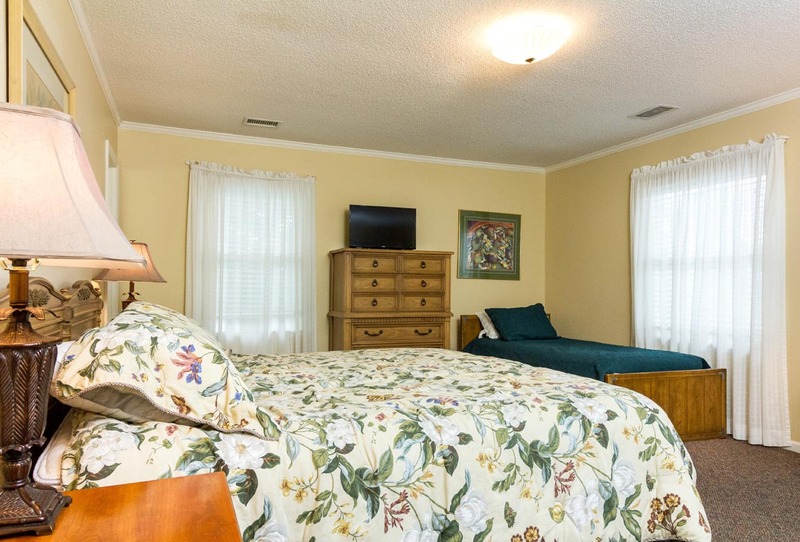 It is a great location, nice accommodations and very comfortable. There are little things that would be nice if they were fixed but nothing to keep us from coming back. Jean- Glad to hear you enjoyed the hope to see you at the beach again soon! Wonderful vacation. House had great space for our family. Loved being oceanfront. Beach path so it was easy to carry umbrellas, chairs and toys. Have been going there for years and love it! It needs a little TLC...We did get a new dishwasher, that was exciting. The mattresses need to be upgraded and well as the bedspreads. I worry about bed bugs and such. The queen bed is in dire need of replacement. Stove definitely needs to be replaced or maybe just a total kitchen remodel. My favorite spot to stay though without a doubt!! Hi Susan - we are glad that you have enjoyed your stay again! This is an amazing spot on Wrightsville Beach. We are also glad you got to enjoy the recent dishwasher upgrade! I will be working with the owner and sharing your comments regarding some of the other request and hope to report back on some updates! We love this house. So comfortable and the roof top deck is unbeatable. We had a great time at our house during a wedding celebration. The rooftop was great and the oceanfront was an added bonus. The staff at Bryant was very helpful and let us get a noon checkout. This is a duplex, and the other half of the house is occupied, so be warned because we did not realize it. Overall, we had a great experience! We were a group of ladies celebrating a Bacholorette weekend with a Bridal Shower! The the house was absolutely perfect! There was lots of space inside, a shady deck, and a very sunny sunroof!! The living room/kitchen area had incredible natural light, and there was a very welcoming, homey feeling to the entire space! The bedrooms were great, with the exception of the downstairs pull out couch, which is considerably un-sleepable-especially for 2 people! Lots of space in the stocked kitchen! 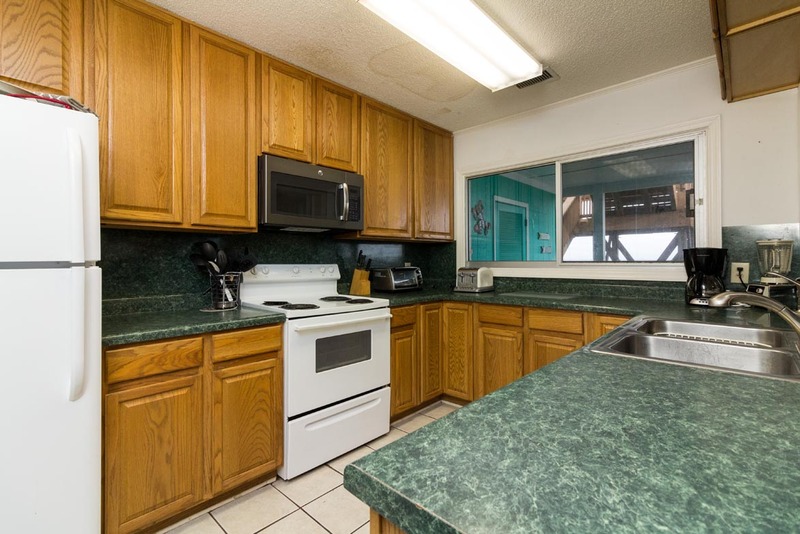 One suggestion would be the kitchen could use some up-dating, and the fridge doesn't always properly close! Thank you very much for a big, bright, beautiful, ocean front house! We loved our weekend, and only wish it could have been for longer! The house is just what we wanted. It was the perfect location on the south end of the beach. Liked how the bedrooms were designed and the number of beds. Kitchen equipped. House clean. Loved that it had 3 TV's although could of been a little bigger (but that is minor). Nice porch. Parking adequate. It would of been nice if the immediate yard was cleaned off so kids could play out there. Deck was great. Wonderful view. Would recommend. Cape Fear Seafood Company in Monkey Station Wilmington had fresh shrimp and good seafood-Highly recommend. Love Jungle Rapids, Aquarium at Fort Fisher, Kure Beach nice. Have been dealing with Bryant Real Estate for years for rentals and would highly recommend. If possible they will try to accommodate your needs. It was a fantastic 2 night trip we had with family and friends. All the kids with us enjoyed the beach very close to house. 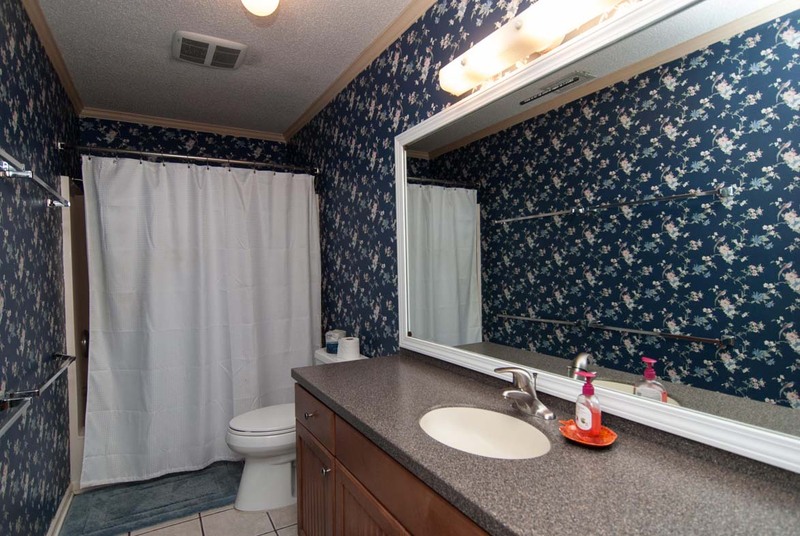 The house was clean and was as shown in pics. We also got extended checkout till 12 which gave more time to sleep ??. We all wished we could stay few more days which will do it on our next visit. The description of the location didn't make it easily known that it is an older house split in two ... so, some of it is luck with who you get as your neighbor ... especially with the shared roof top deck. However, we had a very nice stay and it was bigger than what you think as you pull up to the lime greenish building. I think the best word to describe this place is "efficient." Since I only live 2 hours away, I would offer my landscaping work for a free week's stay -- there isn't any interest on making the grounds have curb appeal. But, again, it was such a nice place inside and the view of the ocean was awesome. There was plenty of parking and the beach was very clean and nice ... not very crowded even on Labor Day Weekend. We were very pleased with the overall experience.